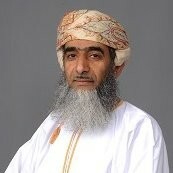 Dr. Al-Shidhani graduated with BSc in Physics from Sultan Qaboos University, and soon after joined the Physics Department. He received his MSc degree from the Astronomy Center at University of Sussex, and returned few years later to pursue his studies towards Ph.D. from the School of Science and Technology. In 2005 he with others initiated the establishment of the Oman Astronomical Society, a non-profit association to develop Astronomy and Space Science in Oman. The Society was approved by the government in 2008 and since then Dr. Al Shidhani is the Chairman of the Management Board. In 2013, he also initiated and chaired the National Team for Capacity Building in Space Science and Technology, and he through these platforms organized many scientific conferences and capacity building workshops. He is also a member of the National Committee for Peaceful Usage of Outer Space and regularly participates in UNOOSA annual meetings. Dr. Shidhani research interests cover wide aspects and fields such as the design & development of cubeSat, black holes, hydrodynamic cosmological simulations, crescent sighting, and web-based learning and examination technologies, ...etc. Dr. Saleh is actively participating in large number of outreach activities, as well as regional and international conferences. He is teaching Astronomy and Space Science courses at the Sultan Qaboos University.